In back from left are Rick Rogers, Greg Mills, Jennifer Cogswell, Nick Little and Andy Hinman. In front are Gabby and Josh Veyan. OSWEGO, NY – If one was to walk through Breitbeck, East, and West Park in the morning during the Harborfest season, one would not have known of the massive amounts of people that walked through those areas the day before. The parks were cleaned, the booths maintained, and smiles were ever so present. This type of work was not paid for in cash but by hours of dedicated community members who believe in giving back through volunteering. For every four-hour shift a volunteer completes, they are automatically placed in a raffle system for a Murdock’s Bicycles and Sports gift card. 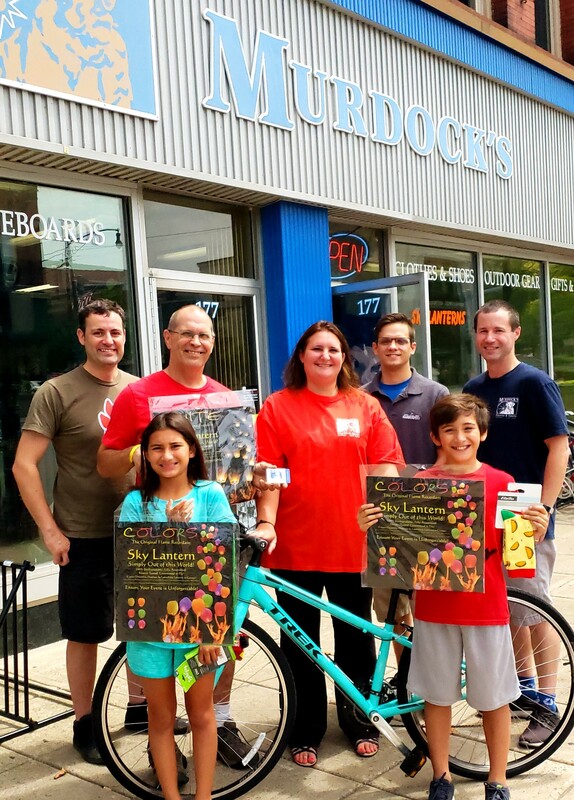 Murdock’s has continuously shown its support of the Harborfest volunteers by donating a generous gift from its shop. “We look forward to seeing Jennifer and her kids next year in making sure our parks and areas are clean, maintained, and ready to go for our 32nd year of Harborfest. Congratulations, Jennifer and thank you, again, to all the volunteers who made this year the best one yet!” he added. To learn more, visit www.oswegoharborfest.com or contact the Harborfest offices at 41 Lake St., Oswego, NY 13126 or call (315)-343-6858.